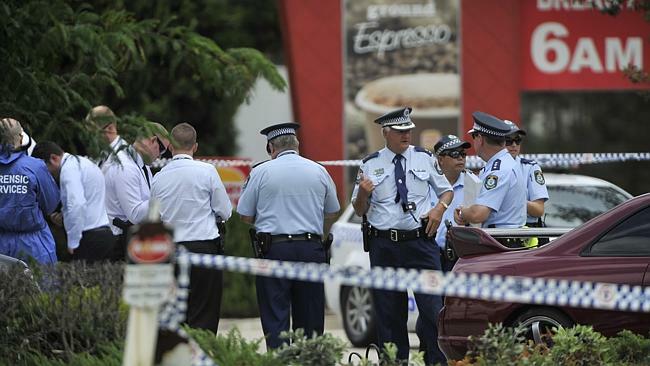 THE 22-year-old knife wielding woman shot dead by police yesterday had Aspergers. Courtney Topic had been wandering between cars armed with a knife before she advanced on officers. The Telegraph understands she had Aspergers, a condition related to autism and can mean sufferers have difficulty relating to others, language skill deficiencies and problems obeying verbal instructions. 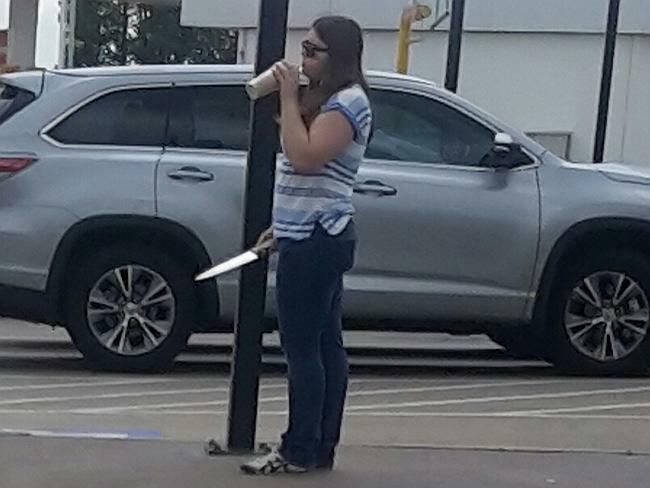 Casually drinking from a fast food cup and clutching a knife, Ms Topic was likened to a “zombie” before she lunged at police who shot and killed her yesterday. 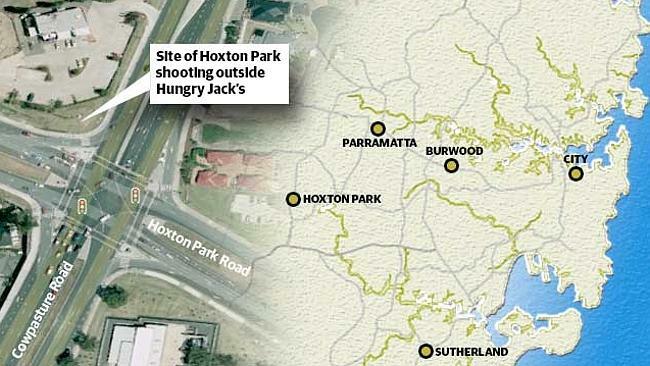 A male constable shot Ms Topic in the chest at Hoxton Park Hungry Jack’s at 11.45am yesterday, ending 10 minutes of terror as she wandered in and out of traffic with the 30cm blade. 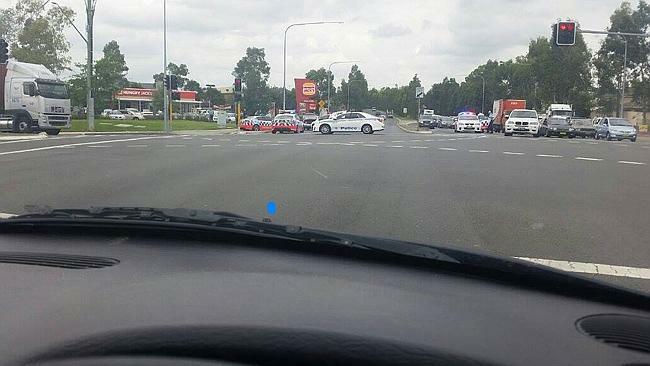 Drivers called triple-0 with officers racing to shut down streets and warned workers at the fast food outlet to take cover as horror unfolded on the verge of Cowpasture Rd out the front. 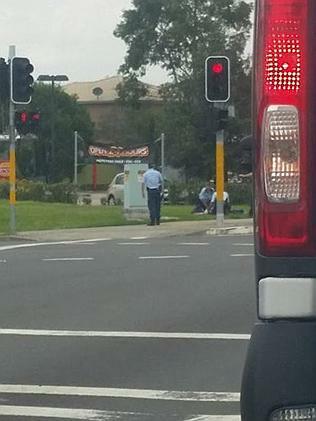 Witness Robert Duncan from Penrith watched as the young woman, dressed casually in jeans and a T-shirt, ignored police calls to drop her weapon and instead advanced on a male officer. Her glasses deflected capsicum spray and an attempt by a female ­officer to taser her failed when the electric shock weapon did not stop her and she ignored calls from two male police officers. 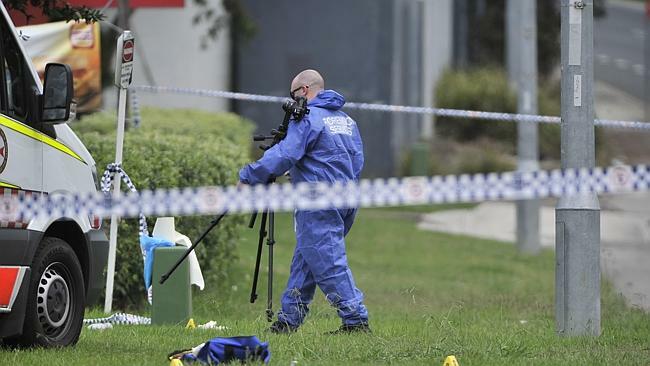 “The woman then started moving towards them in a zombie like fashion and the police kept their guns on her and kept moving back, she came towards them wielding and swinging a knife,” Mr Duncan said. 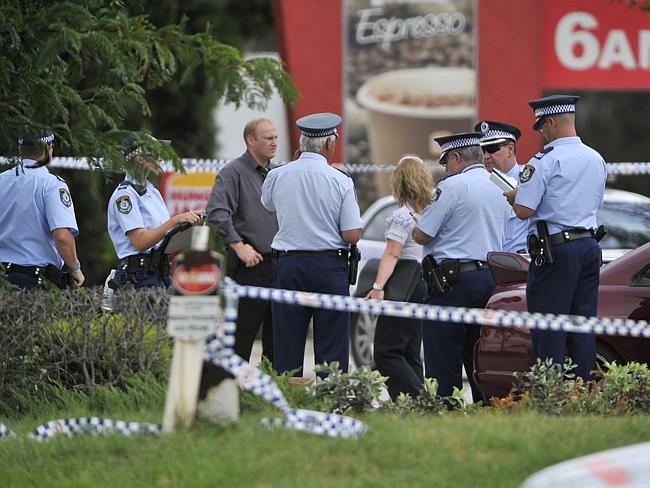 Detective and police discuss events inside the cordoned-off area outside Hungry Jacks. Another witness Ashton Tuimaseve saw the Ms Topic lunge at police. A forensics officer collects evidence from the scene after efforts to revive the woman — killed by a single bullet — failed. Picture: Robert Pozo. “She started charging the male ­officer and the male officer was backing up, it looked like he was unwilling to do anything,” he said. “Then he fired one shot and it hit her in the chest. A map shows the site of the shooting. 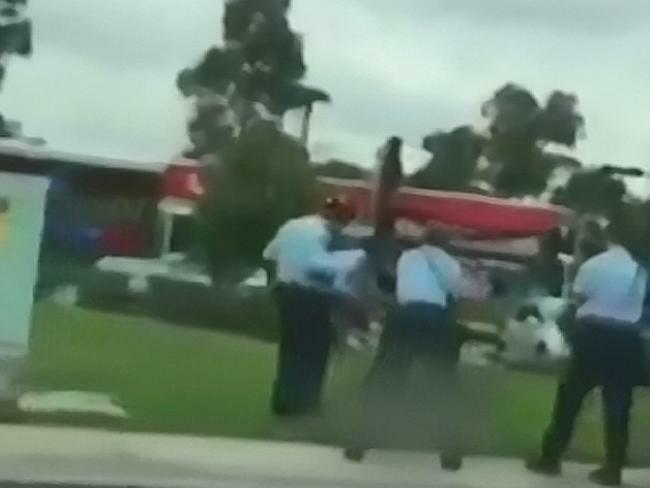 “She stood around for a good three or four seconds and clutched at her chest, then she just dropped.” A female officer kicked the knife away before police began frantic ­attempts at CPR. 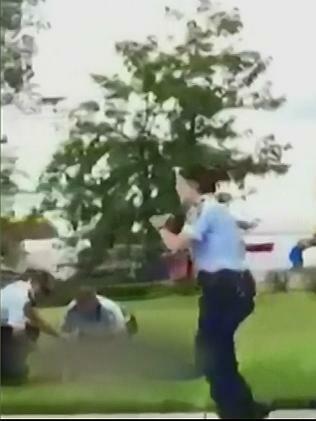 The male constable who fired the shot folded over, clutching his knees in distress. It was unclear what had led Ms Topic, who had no criminal history, to the fast food restaurant armed with the knife. Her devastated mother, a teacher’s aide at a local school, collapsed when she was told her daughter was dead. 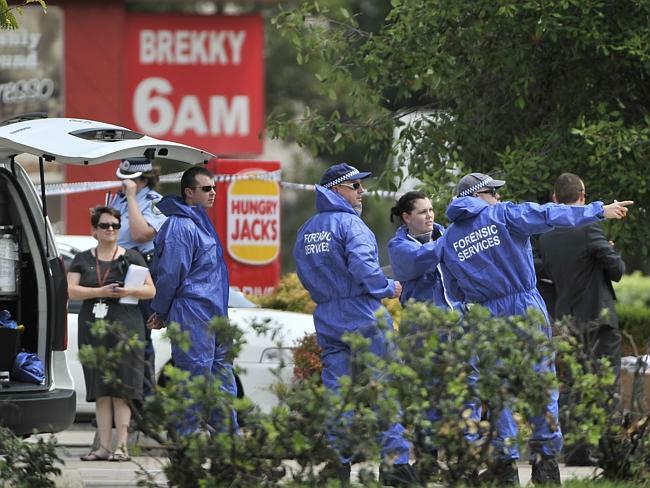 Police led a toddler away from Hungry Jack’s but it was unclear if she had any association with the ­deceased woman. Assistant Commissioner Frank Mennilli said the police from the Green Valley station and highway patrol were traumatised. He said several tactical options were deployed to stop the woman ­before the officer fired. “The officers are distraught, I am actually on my way over there, but also at this time I would like to pass on my condolences to the family and friends of the deceased,” he said. 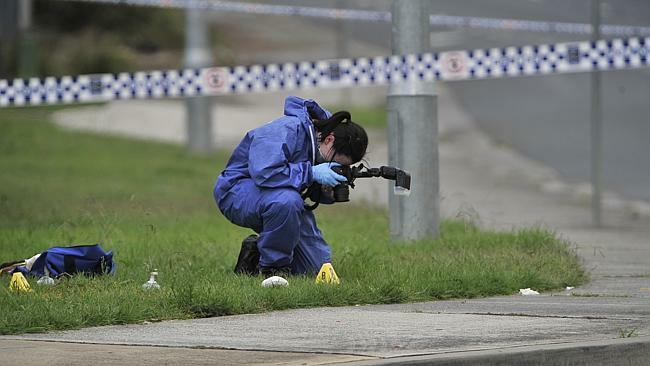 A critical incident team has been formed to investigate all aspects of the police response. 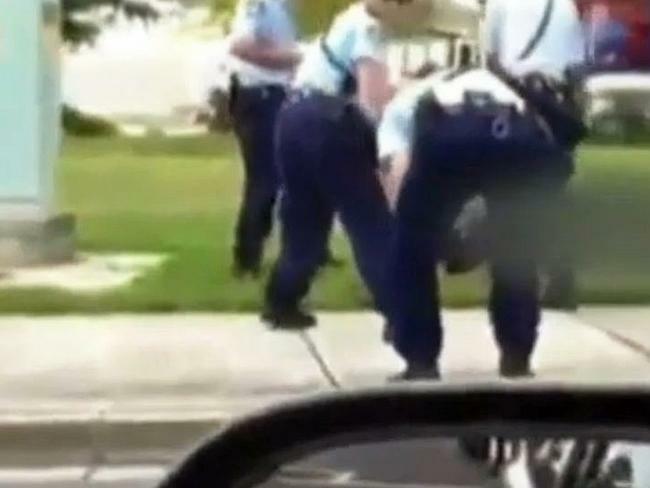 It’s understood officers correctly fired the taser, but the investigation will look at whether the barbs actually connected with the woman.